2 much of a good thing? No such thing!! Join us for the 2nd Annual Diversity Mixer!!! 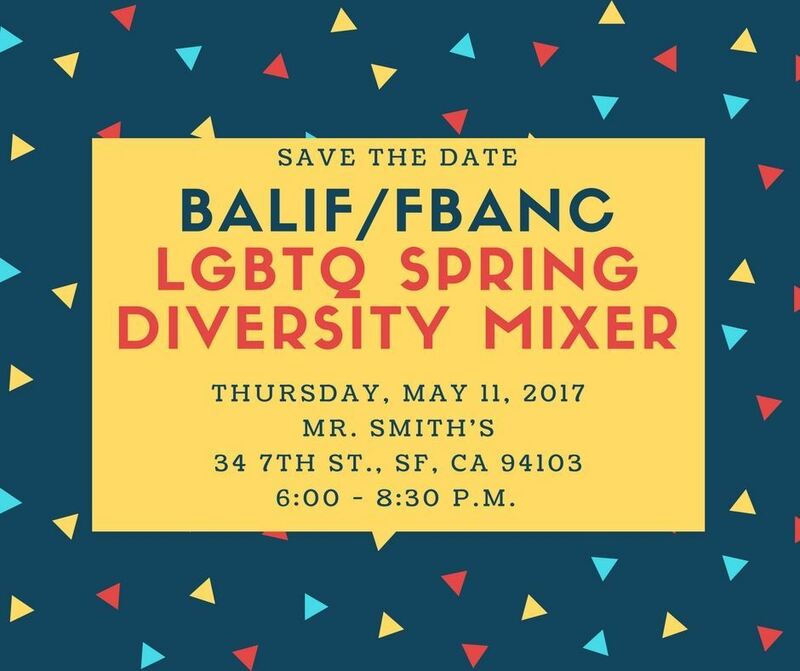 BALIF and FBANC have been working hard to put together its second annual diversity mixer! This event is centered around creating a space for LGBTQ attorneys from diverse backgrounds to network and nurture community within the Minority Bar Coalition. Last year's event was a success and we hope to keep it going. Members of BALIF, FBANC, AABA, AACTLA, AAPA, VABANC, KABANC, ESQUIRE DEPOSITION SOLUTIONS and the Minority Bar Exchange attend for free (current membership will be verified at the door). $10 cash will be collected at the door for non-members. This event is sponsored by Dolan Law Firm, PC.